Following the bloody Battle of the Windmill, the Canadian colonial public wanted blood in return, and the Upper Canada government eagerly gave it to them. Just four days after the smoke cleared, Lt-Governor Sir George Arthur, 54, laid the groundwork for a series of trials in Kingston. The colony’s solicitor-general, Lt.-Colonel William Draper, 37, took charge as Judge-Advocate with a goal to try all prisoners before the end of December. So certain was Draper of guilty sentences, he allowed almost no time for prisoners to prepare. Like the Patriots who raided Upper Canada near Short Hills that spring, Britain charged the windmill prisoners under the Lawless Aggressions Act (that is a short version of the long name). An absolute abomination of a law, it permitted the most flimsy evidence from the prosecution and few avenues of defense for the accused. Unlike the Hunter prisoners captured at Short Hills, who faced a civilian jury with many sympathizers, the Hunters faced a military court martial whose members were openly hostile to the American raiders. To convict each American prisoner under the act, Draper had to prove three things: that the accused was a citizen of a foreign country at peace with Britain, he conspired with British subjects bearing arms against the Queen, and he actively participated in the hostilities. Evidence against British subjects was similar for the last two tests. A conviction meant a death sentence regardless of nationality. Four captured Hunters (three Canadians and one American) agreed to become state witnesses in exchange for clemency. Canadian Levi Chipman, 45, an early Hunter recruit with plenty of inside information, turned out to be Draper’s best resource when he needed to establish a prisoner’s role in the battle. The upcoming trials were the talk of Kingston—an unparalleled news event. 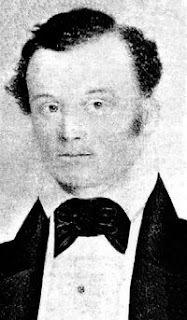 John A. Macdonald, a 23-year-old Kingston lawyer, agreed to defend three Hunter officers: Nils von Schoultz, 31, Daniel George, 27, and Dorrephus Abbey, 47. Macdonald had success earlier in 1838 defending eight farmers captured as part of the Hickory Island raid. Aside. For readers outside of Canada, John A. Macdonald became Canada’s first prime minister in 1867. Daniel George faced court martial first on Wednesday, November 28, 1838, in front of sixteen officers in dress uniforms at Fort Henry. Guards lined the wall. The Hunter flag taken from the windmill hung on the wall. A pile of confiscated weapons lay on display for all to see. George’s trial consumed all that day and the morning of the next. Being the first case, Draper was thorough in covering the three key points of evidence under the act. George claimed he was just out for a row to watch the battle. (He was arrested in a small boat mid-river the first evening of the battle.) On the stand, Chipman testified to George’s real role in the battle. Also, the court martial heard that when arrested, George’s pockets contained receipts from the captain of the United States for towing the two rebel schooners on November 11. They found George guilty. Von Schoultz’s short trial began the same day, November 29. From the start, any defense was impossible. The Hunter colonel took full responsibility for the attack. 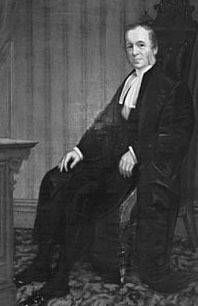 He admitted that, although he invaded Upper Canada in a complete misunderstanding of the inhabitants real circumstances, he was guilty and should pay for his crimes. The court had no choice but to convict him. Abbey’s trial took place November 30. He followed Macdonald’s guidance, insisting he was an unwilling participant in the battle, essentially kidnapped and forced to fight. Again Chipman’s evidence shot holes in the story. Abbey was convicted. The court martial sentenced all three to death by hanging. Von Schoultz was first on December 8, with Abbey and George following December 12. Macdonald prepared a will for Von Schoultz. The colonel left ₤400 to four widows of British soldiers killed during the battle and another sum to a Roman Catholic College being built in Kingston. Macdonald refused to accept payment. On a cool and hazy day, a British guard transported von Schoultz by wagon to a hillside next to Fort Henry to a special gallows built just for him. Those gallows and the uniform he was allowed to wear were concessions to his rank. Those minor privileges may also be attributable to the respect von Schoultz garnered among the military for his honesty and gallantry. A report in the Oswego Palladium, December 12, 1838, stated that several British officers sent a petition to the Lt. Governor asking for clemency. It was not granted. Four days later, Abbey and George dropped through the gallows’ trap door in the Kingston jail. The execution train had just started rolling. Nine more would soon follow. Woodruff and von Schoultz were initially interred in the garrison section of the Upper Burial Ground in Kingston, Ontario. That cemetery filled up, fell into disrepair and was plowed over in 1890. In 1862, local businessman Alexander Cicolari had the bodies moved to St. Mary's cemetery, where they remain. At 16, had Cicolari witnessed the hanging of von Schoultz and remembered his honorable and stoic death. Friends shipped Abbey's body to the Brookside Cemetery in Watertown, New York. As for the other hanged men, the old garrison graveyard was probably their final resting place. If so, their still lie there. The spot is now called McBurney Park, unofficially known in Kingston as Skeleton Park.